On his twelfth birthday Lewis Nash comes home from school to find that his house has blown up to smithereens, killing his father. Having lost his mother in an accident four years earlier, Lewis realizes he is now an orphan - but he has no time to dwell on it. The moment he gets off the school bus a fearsome wolf-man tries to grab him. The boy is saved in the nick of time by Master Long, who reveals to him that he's a Shaper from a place called Xor, which is being devoured by the Realm Pirates. Lewis learns that must do his utmost to become the powerful Shaper he was destined to be. Lewis is brave, intelligent and way more mature than any 12 year old. But then again, he is Lord Shaper. You know he's a big deal if he has Lord beside his title. One with utmost power should reflect his power. 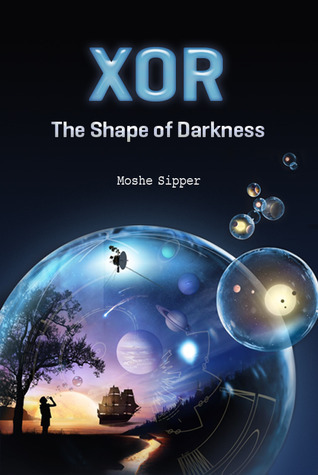 As soon as he finds out his dad is dead, avoiding being kidnapped from an evil creature, he is snatched away into the world of Xor, where he finds out about his new identity and adjusts to the reality of being the only one that can save his planet. Meeting great friends and mentors, battling the darkness inside him, and faced with people that are deceitful, Lewis only has less than a week to save Xor before it's entirely consumed by darkness. A great protagonist to compliment this crazy roller coaster of a story. 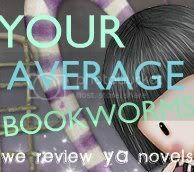 There were so many adventures and antagonists to keep the book from becoming boring. A lot of the times I found myself trying to solve problems along with Lewis and his friends. However, a big flaw was the writing. I found it to be a little... simple. In my opinion this would be more of a novel for preteens instead of youth adults. I found this book to be quite repetitive, especially near the end. Lewis was so inquisitive it got to the point of a little annoying. The beginning could have been built up a little bit more as well, allow the readers time to adjust to the new setting. The ending was I think what I enjoyed the most. It was unpredictable and left me feeling warm hearted. I would have this novel is considered both a hit and miss for me. But on the side note, if Xor turned into a movie I predict it'd be a big hit. I would definitely go see it if I was someone that hadn't read the book yet. Wow, sounds scary! There seem to be a lot of books out right now about this type of adventure. I am not much for fantasy as a genre, but I have found a few fantasy books I've enjoyed.